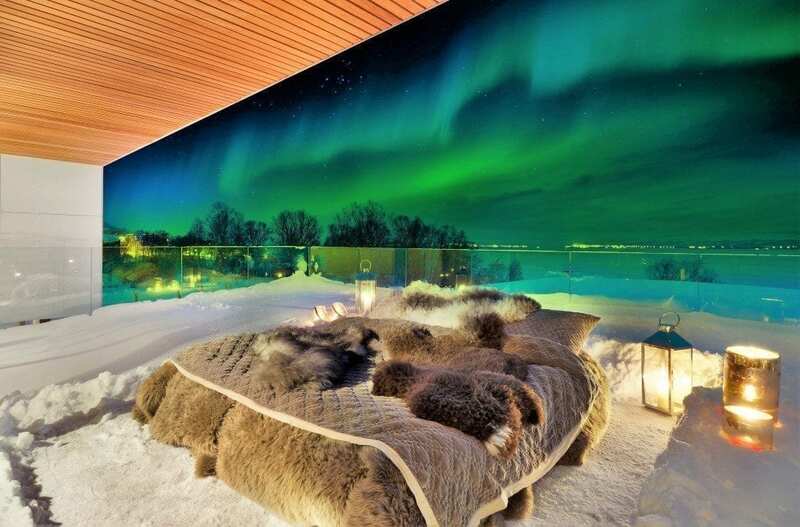 There are a few ways of experiencing the Northern lights from your bed – however a new property in Tromso, Norway, launched by Arctic travel specialists Off the Map Travel, is set to top them all by creating a luxury outdoor bed on an open-air balcony with unrestricted views to the night sky, stars and Northern Lights. The new premium Villa Telegrafbukta housing the new outdoor Aurora bed, is located in an exclusive area of Tromso, Norway, on the south side of Tromso Island and comes with a private chef, personal hostess, 24/7 chauffeur driven luxury vehicle, and a private rooftop balcony complete with king-sized bed where guests can lie back and hunt for Northern Lights, and even sleep under the Arctic night sky. “The new Aurora bed is kitted out with layers of sheep wool, pillows and extreme goose down duvets which not only bring a bit of luxury, but warmth to protect against the cold winters night. This really is the perfect spot to lie back and take in the spectacular Arctic night sky and is the ultimate way to experience the Northern Lights from your bed,” said Jonny Cooper, luxury adventure travel expert and founder of Off the Map Travel. Guests at the villa have the choice of sleeping outside on the balcony, or in the adjoining villa’s master suite with floor to ceiling sliding windows, or in one of the other three well-appointed rooms. The villa very comfortably sleeps up to six people. 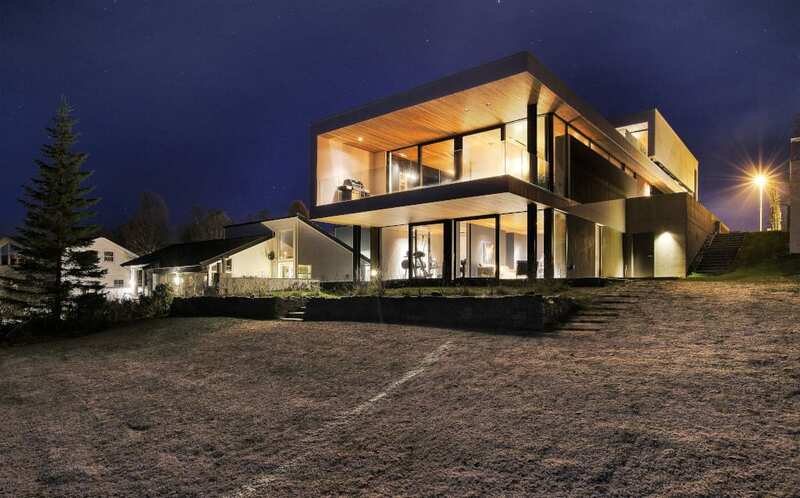 Together with Northern Lights hunting from the villa’s private outdoor bed, guests can also explore the region with unlimited 24hr use of the villa’s chauffeur-driven Tesla, including the neighboring islands of Kvaløya, Breivikeidet and the South Lyngen region. This limitless use is also at the disposal of the guests for hunting the Aurora in some of the best spots around the city and into the wilderness. For the ultimate luxury stay, guests’ also have the option to add massage and beauty treatments at the villa or hire a private helicopter or mini-yacht to explore the surrounding fjords. Add to this a host of Arctic adventures from dog sledding to snowmobiling and you have the perfect base for a true Arctic Adventure. Available from September to March, an example of a four day, three night, Aurora in Bed itinerary with Off the Map Travel costs from £2399 per person, based on six adults travelling. This includes all transfers with unlimited use of the of the chauffer-driven vehicle throughout the stay, three nights at Villa Telegrafbukta, with private chef on a half-board basis, personal host/hostess 24/7 and adventures to include private dog sledding and a private Northern Lights dinner cruise by luxury speedboat. International flights not included.